Every heating and cooling system requires some sort of mechanism for distributing that hot or cool air that it generates. 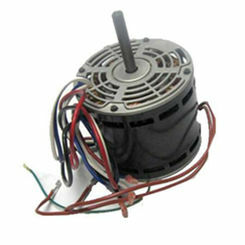 If your HVAC system isn't circulating properly, you may have a broken blower motor that needs replacement. 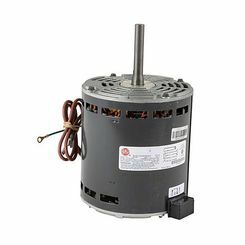 Though this is a hassle, you are in luck because PlumbersStock offers a wide variety of discount HVAC blower motors by Honeywell, Williams, Ducane, and more. Thank you for choosing PlumbersStock and if you have any problem finding the best HVAC parts, please contact our customer service team for help using the chat feature. 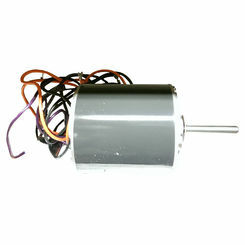 What Is an HVAC Blower Motor? 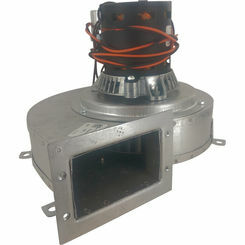 A blower motor is a part of your heating and cooling system that can be broken down into three simple sub-parts: the fan assembly, the motor, and the case covering. 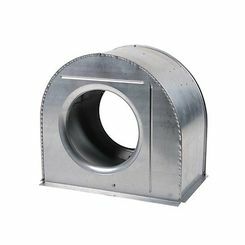 The blower motor works to supply a current of steady air at a sustainable pressure that is then delivered through ductwork and vents to the home. 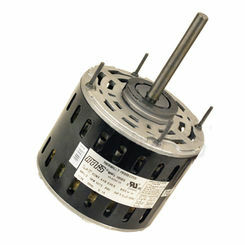 Simply put, your blower motor is designed to supply and distribute air for your home. 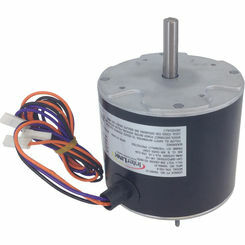 When browsing for blower motors, keep in mind that high-speed blower motors are best for air conditioning systems that require high-pressure fans, while low-speed blowers are meant for heating and air circulation. 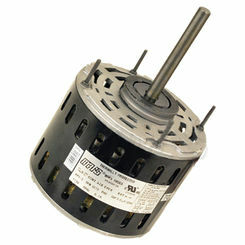 Does Your HVAC Blower Motor Need to Be Replaced? 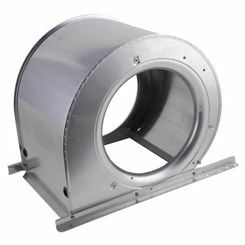 Many modern HVAC systems have blower systems to make the air circulation more efficient. 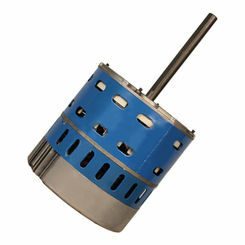 One of the most common types of blower motors is known as a direct drive blower motor and is found in modern furnaces. If you suspect your blower motor has gone out, below is a troubleshooting guide to help you figure out if it’s the problem. 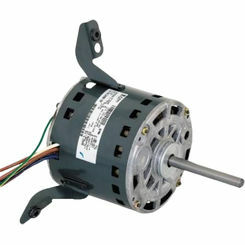 This quick guide is meant to diagnose a direct drive or belt drive blower motor only. Spin the Blower – Begin by shutting off your furnace. Once the power is out, try to spin the blower by hand. 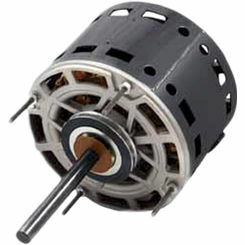 Blower Spins Freely – If your blower spins freely, check to see if the motor is hot. If so, allow it to cool. 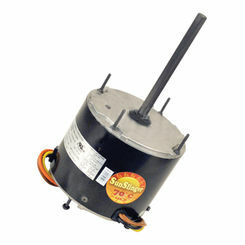 Check the run capacitor (this will help you know if you’re overworking the motor) and replace as necessary. Once this is done, the motor should work properly. 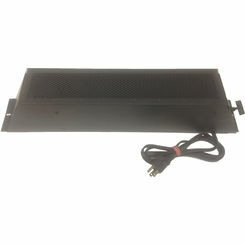 Turn on the power to your furnace again and observe the blower. 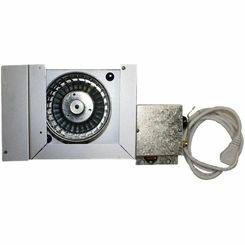 If the blower does not start or does not achieve the correct speed, it will need to be replaced. Blower Does Not Spin Freely – If your blower won’t move when you try to spin it by hand, check to see if your blower motor has oil ports. If so, add a few drops of oil and notice if it helps the spinning. If there are no oil ports or the blower does not spin freely after the addition of lubricant, it will need to be replaced. 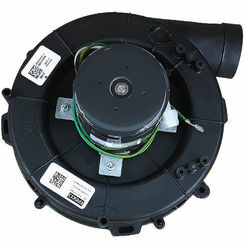 If you’re looking to replace your blower motor, you have the option of either purchasing the same blower motor you had before or purchasing a universal one instead. At PlumbersStock, we offer you the option to do either by carrying some of the top names in the industry! 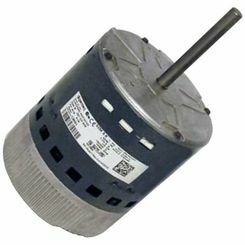 With a massive selection of over 500 blower motor products, you’ll be sure to find what you’re looking for with us at the lowest, wholesale price. When you need the best replacement parts at an affordable price, you know where to go online. 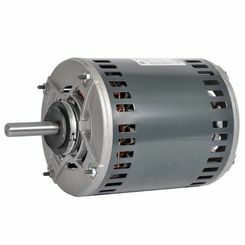 Save on the best blowers and motors in the business and get your parts shipped fast with the web leader in heating and cooling. Be sure to shop around and take advantage of our unbeatable prices and bulk shipping savings.